Citroen is simplifying its lineup. For example, it is replacing the C4 hatchback with the face-lifted C4 Cactus, shown. PSA Group's purchase of Opel means that the French automaker now has three mass-market European brands (four if you count Vauxhall). Could that be one too many? One path of speculation has focused on Citroen being the odd man out. Excluding Opel, Peugeot accounts for 61 percent of PSA's European sales, while Citroen has 36 percent with the shrinking upscale DS brand accounting for the rest. After the completion of PSA's acquisition of General Motors European business in August, Opel is now PSA's biggest brand by sales (see chart bottom). PSA Group EU and EFTA unit sales in Sept.
A future scenario could see Opel targeting the German and northern European market, while Peugeot would be aimed at France and southern European countries. An analysis issued last month by the investment firm Bryan Garnier explored this possibility. "With sales of the various brands in the new group eating into each other, we expect the Citroen brand to suffer clearly, unless the group unveils a strategy with clearer positions for its customers," the report said. Peugeot's goal is clearly stated in PSA's Push to Pass strategic plan: "To become the best high-end generalist brand." As part of that drive, the new 3008 and 5008 models have been introduced with more aggressive styling that puts them squarely in the high-demand -- and higher-priced -- SUV class than their more minivan-oriented predecessors. Citroen's task is "to become the people-minded brand," a positioning which the Bryan Garnier report describes as “more focused on less-sophisticated and more-affordable models and remains misunderstood." Opel's brand position is expected to be clarified in early November when a turnaround plan for GM's former money-losing European division will be revealed. PSA CEO Carlos Tavares has said that Opel is a key to accessing the German market, Europe's largest. Speaking to shareholders in May, Tavares said cannibalization rates between PSA brands and Opel were less than 3 percent in Germany and France. "Some customers will just consider French brands, and others will just consider German brands," he said. "We may think it's unfair, but it's just a reality." Another suggestion, also from the Bryan Garnier report, is that Opel could move upscale and replace the small and ailing DS brand in the premium position, to gain the higher profit margins in those segments. "PSA could follow the example of Volkswagen, which acquired Audi in 1964 and turned it into a high-end brand that now contributes 19 percent of the group's volumes and more than 45 percent of earnings," the report said. So where does that leave Citroen? After selling more than 900,000 vehicles annually in Europe in the mid-2000s, the brand has been in a prolonged slump. Last year, European sales were 541,700, according to JATO Dynamics. 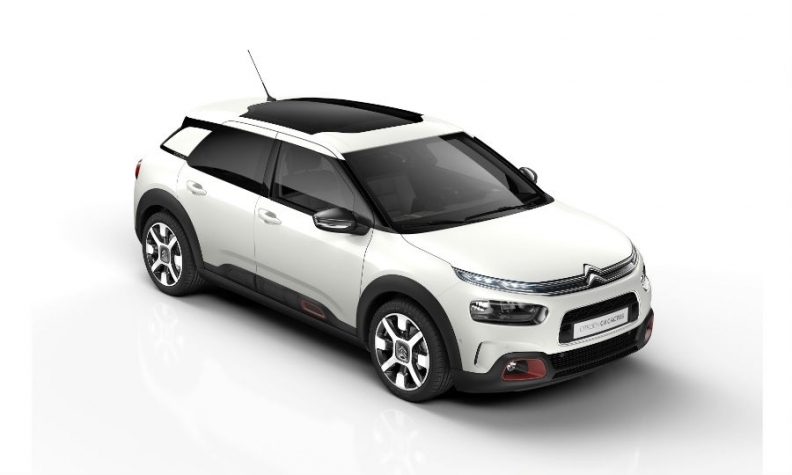 Under CEO Linda Jackson and design chief Alexandre Malval, Citroen is attempting an ambitious makeover under a new marketing signature "Inspired by you," which was formally introduced at the Frankfurt auto show in September. Jackson plans to increase sales by 30 percent. Citroen is replacing people-movers with new crossovers and SUVs, and trying to personalize the buying experience by offering mix-and-match interior, body, roof and accessory colors. It is moving into mobility services with two programs: Rent & Smile, for long-term rentals; and Earn & Drive, which lets owners rent out their cars when they aren't using them. It is also simplifying its lineup by trimming the number of basic models to eight from 14. The product reboot began formally last fall with the C3 subcompact sedan, which incorporates crossover styling cues. European sales are up 63 percent in the first eight months of this year over the previous model to 142,588, according to JATO Dynamics. Citroen’s European sales rose 4.5 percent through August, almost exactly mirroring the growth in the European market. Citroen's first SUV for the European market, the subcompact C3 Aircross, rolls out this autumn, replacing the C3 Picasso minivan. At the same time, the Chinese market is getting the compact C5 Aircross, which will be released in Europe next year. An analysis by IHS Markit suggests that Citroen will sell 118,000 C3 Aircross cars in Europe in 2018, versus 36,754 C3 Picassos in 2016. Citroen has a few other product changes in store. The C4 Cactus has just had a face-lift and has been repositioned as a more comfort-oriented car. Citroen is calling it a hatchback now, having previously said it was a crossover. The C4 Cactus will take the place of the C4 compact hatchback, which is being discontinued in 2018 and won't be replaced until 2021. The C5 midsize sedan will be re-introduced in 2020 after production was halted earlier this year. With the C3 Aircross and C5 Aircross SUV/crossovers in its lineup, Citroen will be better positioned to ride the rising segment upward, both in Europe and China. PSA, however, may want to look to VW Group for another example, beside Audi: The perils of having too many similar brands. A report last week said that VW was seeking to ease tensions among Seat, Skoda and Volkswagen by repositioning its three mass-market brands.